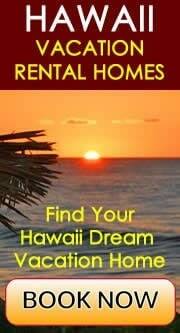 Hawaii's warm climate and tropical beauty makes it dream place to live and work for many people. However, the high demand of jobs in Hawaii makes employers pay less compared to U.S. mainland employers. The average salary in Hawaii is between $30,000 to $50,000 a year, and approximately 20% to 30% of that is substracted for federal and state taxes. Knowing this, have in mind Hawaii is one of the most expensive places in the U.S. to live. A small one-bedroom apartment runs between $1,200 to $1,600 per month in Honolulu, where most of the Hawaii jobs are. The best paid jobs in Hawaii are in the fields of the medical industry, law firms and military and government jobs. If your job is in one of those industries you could make around $100,000 or more per year. Service jobs pay little in Hawaii, such as cashiers, tour desk assistants, receptionists, fast food workers, etc. The average pay for service jobs is between $8 to $10 per hour. Waiters, maids, taxi drivers, tour bus guides also make about $8 to $10 per hour, but depending on where they work their tips can be up to $300 or more a day. The best places to make big tips are busy hotels and restaurants where there is a big turnover of guests. One of the most popular places to look for a job in Hawaii is Craigslist. Also, jobs are posted on the websites of Hawaii's main newspaper, the Star Advertiser. 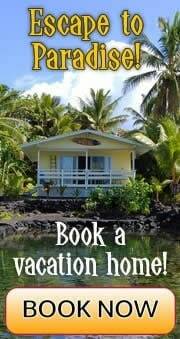 If you are serious about finding a job in Hawaii you may also consult with a local job agency. Many jobs in Hawaii feel more casual and laid back than on the U.S. mainland. Many companies don't have a strict dress code and going to work with Aloha attire is very common, especially on Aloha Fridays. Because of Hawaii's multicultural environment, you will meet people from all over the world. 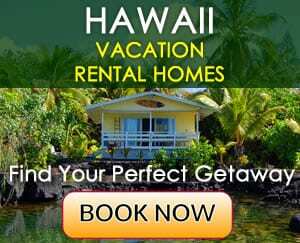 Hawaii is a U.S. state and U.S. working regulations are very strict. People who are not U.S. citizens or green card holders need a valid work visa to work in Hawaii, such as an H-1B visa or investor visa. According to the U.S. government: H-1B classification applies to persons in a specialty occupation which requires the theoretical and practical application of a body of highly specialized knowledge requiring completion of a specific course of higher education. This classification requires a labor attestation issued by the Secretary of Labor. This classification also applies to Government-to-Government research and development, or co-production projects administered by the Department of Defense. In other words, to get an H-1B visa you need to have a specialty occupation which is in high demand in the U.S. Then you must have an employer who is willing to sponsor you and pay you the prevailing wage (which is required for all H-1B workers). An H-1B visa is valid for 3 years, after which it can be renewed for another 3 years. Important note: If you lose your job while you are in H-1B status, you need to find a new employer within 10 business days who is willing to sponsor you and pay you the prevailing wage. If you are unable to find a new employer, you will have to leave the U.S. If you can't get an H-1B visa, there is another way how you can work in Hawaii. Foreign students with an F-1 visa are allowed to work up to 20 hours a week in Hawaii after 9 months of their arrival in the U.S. This can be arranged through the school. If you need a job immediately you don't need to wait for 9 months. You can get a job on campus (up to 20 hours a week), but keep in mind that usually campus jobs pay very little - about $7-8 per hour, which is not enough to cover basic expenses. After you graduate from your school you will be given a one-year work permit to work in the U.S. (OPT-Optional Practical Training). If you have a science, technology or mathematics degree (i.e. computer technologies) you might be able to extend your OPT for 17 more months.